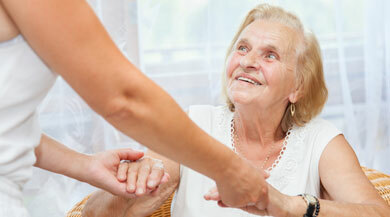 Ezra Home Care provides reliable, compassionate, and individualized home care services. From companionship to medically complex cases we are here to help you and your loved ones. We select the most qualified caregivers and only hire people who we would want to take care of our own family members. Contact Ezra Home Care today or call 617-527-9000 to find out more information and schedule a free Needs And Safety Assessment. We serve the Greater Boston Metro-West areas including Swampscott to the northeast, Burlington to the north, Natick to the west, Sharon to the southwest, and Weymouth to the south. Our goal is to keep our clients safe and comfortable in their homes for as long as possible. Our caregivers provide services 24 hours a day, 7 days a week, 365 days a year. A live- in caregiver is a great long-term option for those people that may need assistance with day-to-day tasks. Our caregivers assist with chores such as housekeeping, cooking, personal hygiene and appointment escorts. Whether you need one-time care assistance or ongoing care, our team of trained professionals is eager to help. We do not have a minimum hour requirement for caregiving.